Read Before Choosing Your Cosmetic Dentist in Friendswood! You’ve made a monumental decision, to confront your insecurities. 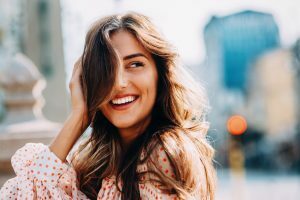 Even Vin Diesel stated, “It’s insecurity that is always chasing you and standing in the way of your dreams.” Now that you have decided to face the very thing that is always holding you back—your own smile—you’re prepared to fix it with the help of a cosmetic dentist in Friendswood. Finding the right dentist to take on a tremendous task like that needs to understand the root of where your insecurities come from and provide the services that can help to fix them for good. Either Dr. Sierra or Dr. Taylor are great comprehensive dentists with special practice in cosmetic dental care. They both truly understand the art of reestablishing your confidence through a natural-looking, beautiful smile. We just ask that you ask yourself these quick questions before choosing your perfect cosmetic dentist. How much experience does my dentist have? We first recommend reviewing your potential dentist’s website. There should be critical information that can be found online before booking your first appointment. It is always in the best interest to work with dentists that have extensive practice and education in their field. Consider the goals you have for your smile. Does your dentist specialize in that particular service? Dr. Sierra is an active member of various dental groups including the American Academy of Cosmetic Dentistry. He truly has a passion for esthetic and restorative dentistry, helping countless patients improve their flawed smiles. Dr. Taylor has been practicing for years and even founded our practice in 1970! What services does my dentist offer? If you would like more information on each of the cosmetic services we offer, please visit our cosmetic page. Your dentist in Friendswood loves for potential patients to view the work they’ve completed and see what other patients have had to say about our office. View our smile gallery to see the awesome improvements we’ve made on our patient’s teeth! Our office is always open to answering questions. Feel free to give us a call or set up a consultation to find out if our cosmetic services are the right dental choice for you! Comments Off on Read Before Choosing Your Cosmetic Dentist in Friendswood!